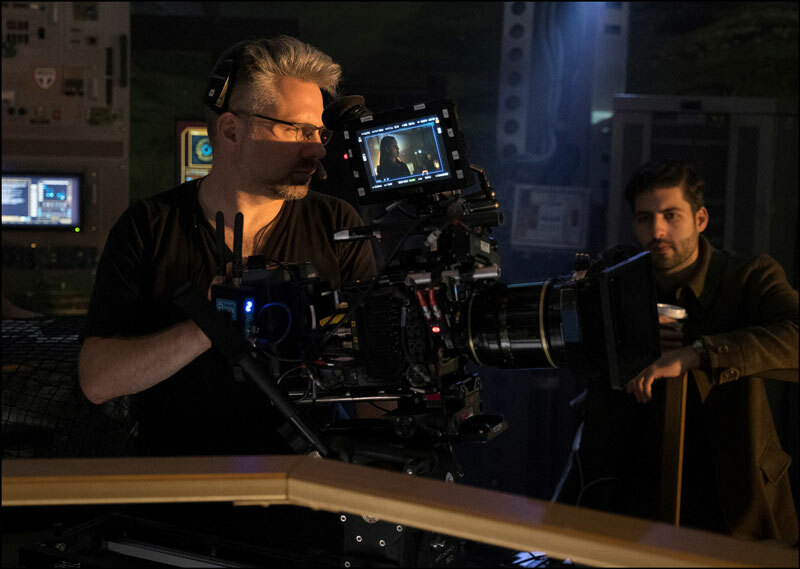 Fans of The Expanse will know how beautifully the sci-fi series is shot, so it’s interesting to hear from the cinematographer behind the visuals, Jeremy Benning, CSC. Syfy commissioned the first 10 one-hour episodes of The Expanse in 2014, still the most expensive show the channel has produced. Based on the bestselling book series collectively known as The Expanse, written by Daniel Abraham and Ty Franck (under the pen name James S. A. Corey), it’s set in a future where humanity has colonised part of the Solar System, including Mars and the Asteroid Belt. The series is produced by Alcon Television Group (a division of Alcon Entertainment) and The Sean Daniel Company, and developed by Mark Fergus and Hawk Ostby. Abraham and Frank are also producers on the TV series, while Naren Shankar is executive producer and showrunner, with Bob Munroe as producer and VFX supervisor. Benning was DOP for all three seasons, the latest of which wrapped in December 2017. The series was primarily shot on two Arri Alexa Minis at 23.98fps, ProRes 4444 UHD 16:9, with a third Alexa Mini brought in when needed. Cooke lenses were used throughout – Benning had the full 9-lens set of 5/i primes, consisting of 18mm, 25mm, 32mm, 40mm, 50mm, 65mm, 75mm, 100mm, and 135mm with T1.4 speed, shared between the cameras, with all lenses being used. “I love Cooke lenses,” said Benning. 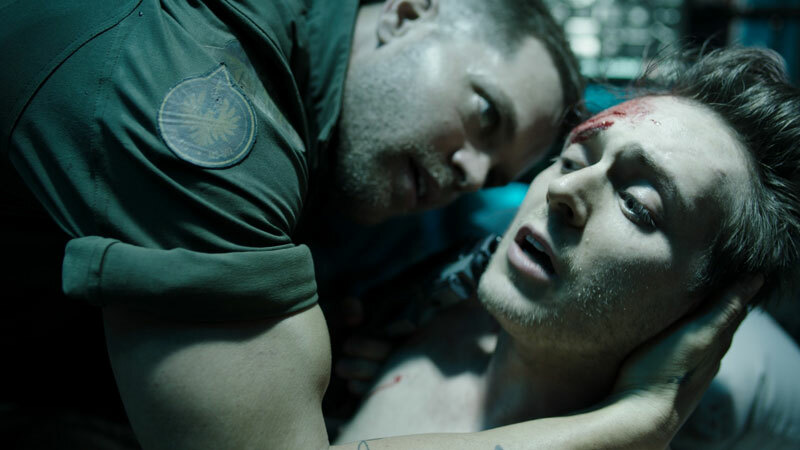 “I’ve been a long-time user of Cooke’s S4/i, miniS4/i and 5/i lenses, and for The Expanse, I wanted a gritty, hard, but human look — Cooke 5/i primes were the natural choice from day one. 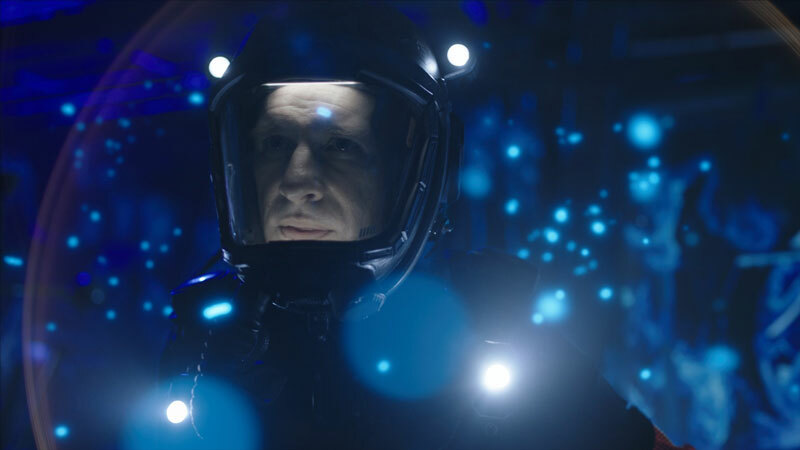 Benning prefered not to use any filtering for The Expanse, having done some tests during season one, although he would make use of the occasional 1/16th, Classic Soft. A major percentage of the show’s visuals are in-camera, with VFX being used for set extensions and exterior space shots. 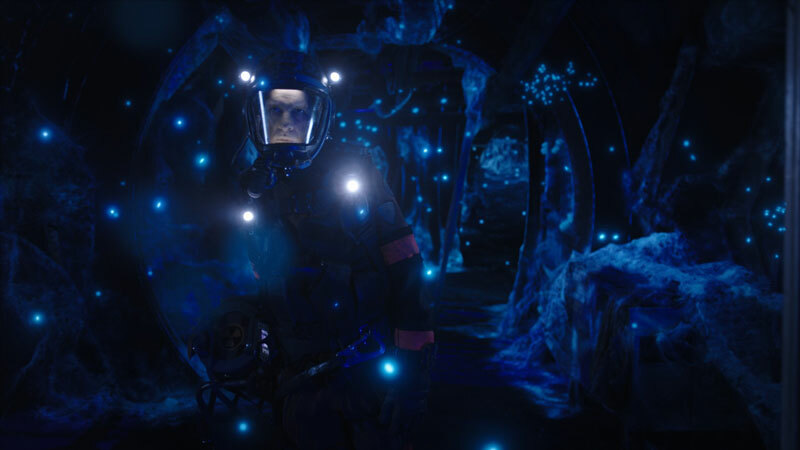 For example, in seasons two and three, there are very dark, almost cave-like environments that needed to show bioluminescent particles and walls. Using ultraviolet pigment built into the sets and UV light to fluoresce and almost totally light the set, Benning was able to capture an ethereal look that would just need some VFX augmenting in post. This UV effect meant extremely low light levels on set: he says the T1.4 Cookes and 800 ISO Minis handled that very well. 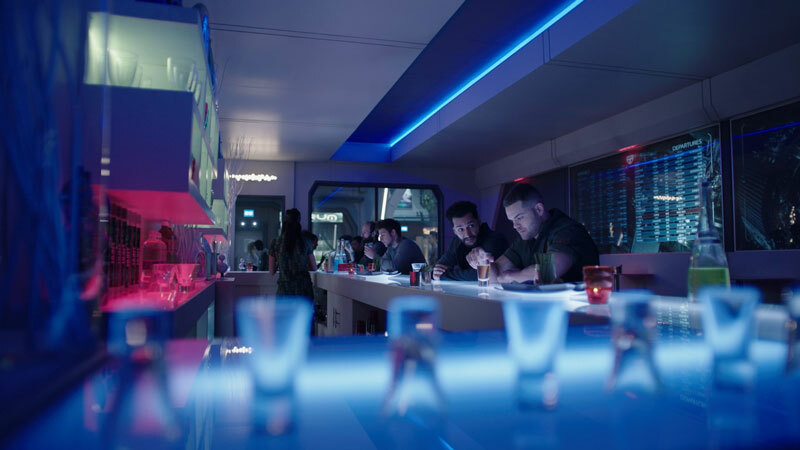 VFX on The Expanse was created by a number of Toronto-based facilities, including Spin VFX, Mavericks VFX, Switch VFX, and Rocket Science VFX. 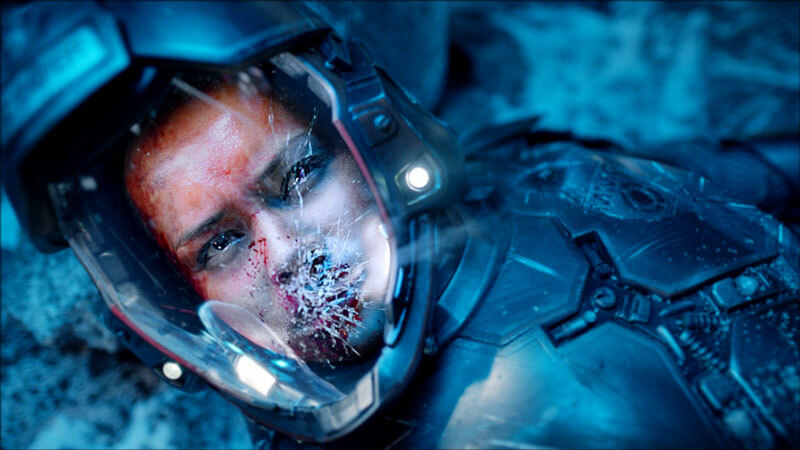 Production of The Expanse is 90 percent studio based, with one location day per episode. The sets are mostly complete 360-degree environments with walls, floors, and ceilings. 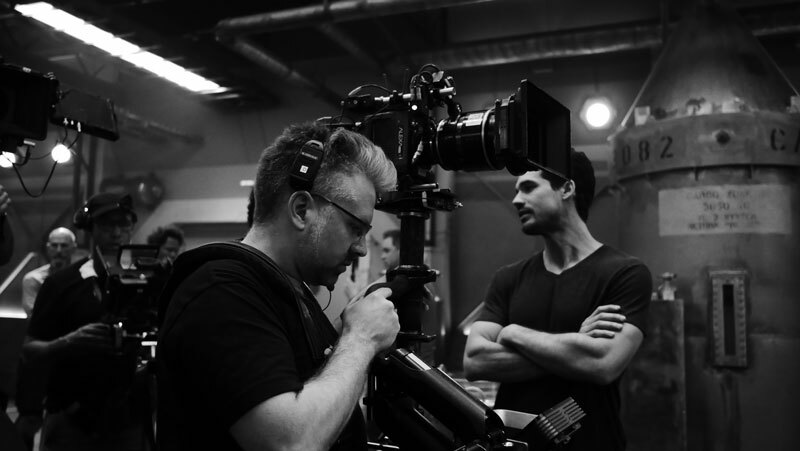 Benning worked closely with the show’s production designer Tony Ianni to work lighting into the sets, selecting the type of lighting and the materials the light would pass through. The sets are virtually entirely lit practically. 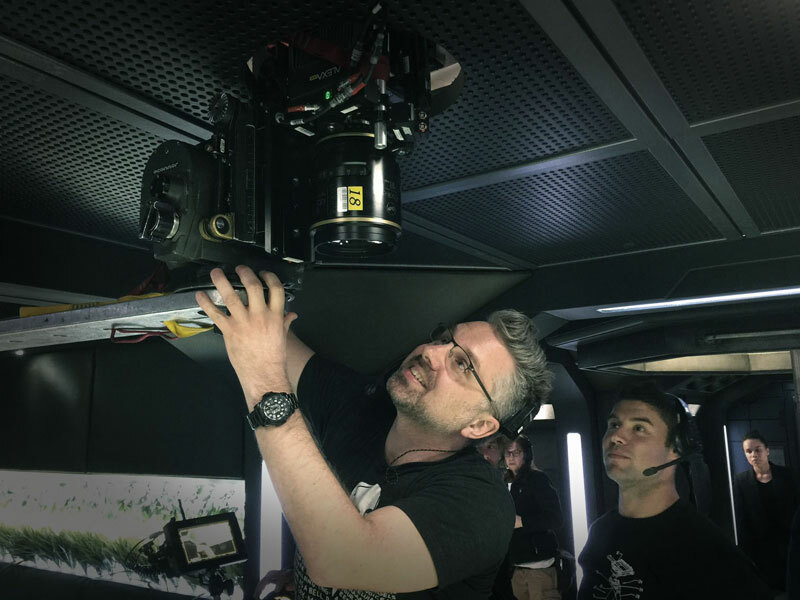 Benning also makes use of Cooke’s /i Technology lens metadata protocol, which enables Arri’s Lens Data System (LDS) in the Alexa Mini to automatically record key lens data for every frame shot, and provide it to the show’s multiple visual effects vendors digitally. This includes focus, iris, and zoom data, so that visual effects used to extend the sets or add in a new background can be seamlessly tracked to match the in-camera element. This saves a couple of hours per shot that would normally have to be done manually. “My goal is to keep the audience in the world of the show, making them believe that what they see is real,” said Benning. “I often shot the Cookes wide open, to take the edge off the ‘set’ aspect of the environments, keeping the focal point on the actors’ eyes. That takes the emphasis away from the artificiality of a spacecraft set. With a defocused background, everything blends so it helps sell the idea of being in a real place – that’s our main goal. Cookes make the background look more like a painting than a set. “If you are looking for a modern look with less of a clinical feel, that’s what Cooke excels at, with a modern performance factor, plus the slight softness of how they handle defocused backgrounds and faces differently from any other lens,” added Benning. And, in some welcome news for all Belters, the 13-episode third season is to air this year. Find out more about The Expanse at www.the-expanse.com. © 2018 – 2019, Michael Burns. All rights reserved.